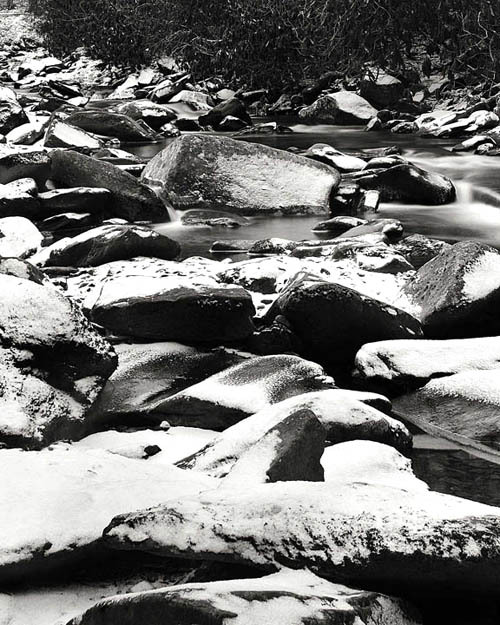 This photograph of a stream in North Carolina was made on an 8×10 Ansco camera. This was sometime in February 2008, in the Smoky Mountains. I have accumulated several 8×10 view cameras over the years and I enjoy using them when the opportunity allows itself. I ended up scanning the negatives, since I do not have an enlarger with an 8×10 negative carrier. I have made a few contact prints and their print quality is very nice. Any comments and questions are welcomed. This has been a popular image of mine that I created a while back. I am trying to get the hang of using WordPress, so these first several posts will be ones from my files. This was shot outside of Amarillo Texas, off of I-20. 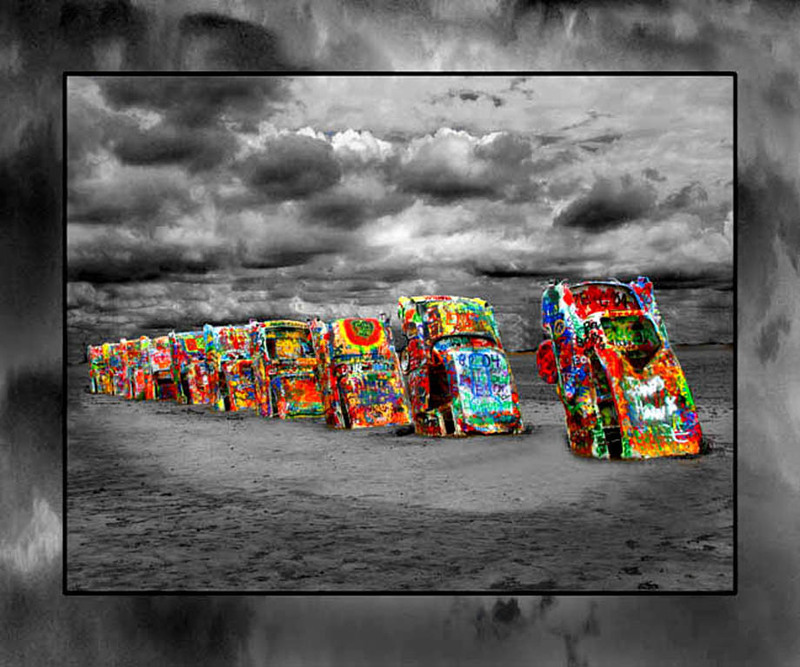 I had always heard about this and as we were driving by, Pam spotted it and said something like, ” somebody went and buried a bunch of perfectly good, old cars out there in that huge pasture”. I looked over and knew automatically what this “work of art” is. We pulled off of I-20 and found the service road, parked and I walked out to the cars. It had been raining, the “pasture” was full of mud, it was overcast … just an awful day. All I can say, is thank God for Photoshop!! It is truly an amazing program. Forget what the purists say, as far as I am concerned, if it works – use it. My main reason for creating this blog is to have an outlet to display the work that I have created in the past and to show work that I create for my current clients, both businesses and families. I hope that you enjoy what you see and will comment on anything that catches your attention. The above image is from a trip Pam and I took to Ireland back in 2005. 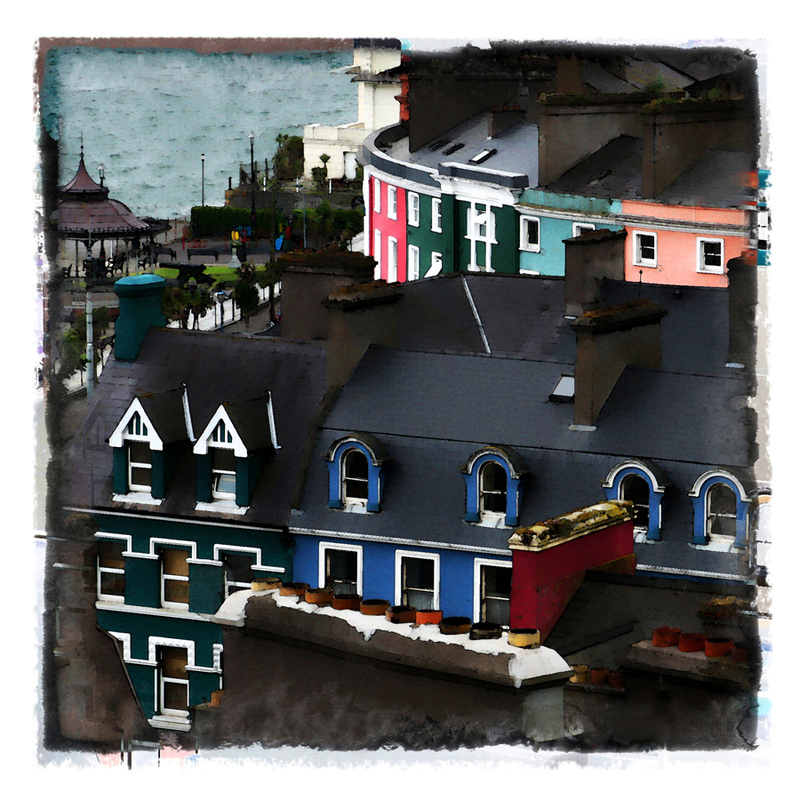 This town is called “Cobh”, but it is pronounced “Cove”. It is the last port that the Titanic sailed from before it left for New York on it’s maiden voyage. There is a museum on the waterfront that describes the history of the town as a port, where ships left carrying passengers to ports all over the world.